Director of the University of Toronto's Master of Architecture Program | Williamson Williamson Inc. 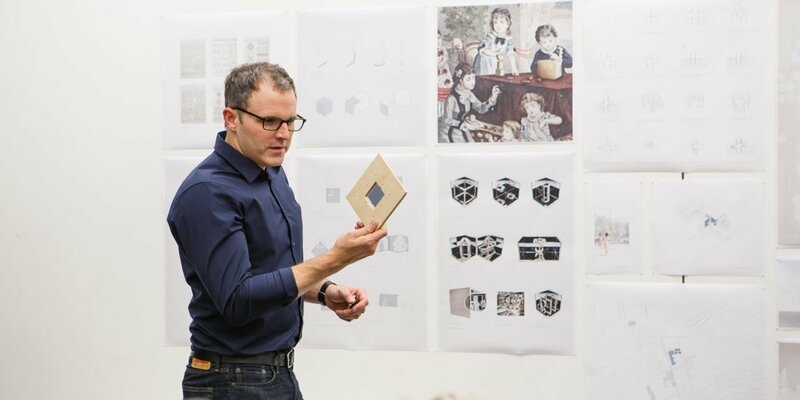 Associate Professor Shane Williamson has been appointed Director of the Master of Architecture Program for a three-year term effective July 1, 2017. Williamson’s research and creative practice employ advanced digital tools as a means to critically engage/transform traditional modes of construction and tectonic expression. His work seeks to situate digital fabrication and wood construction in a broader cultural context and link theories of design and technology to sustainable building strategies. He is a Principal of Williamson Williamson Inc., a Toronto-based architecture and design studio that operates at multiple scales ranging from furniture design to master planning. One of the recurring themes within his (and Betsy Williamson’s) studio’s body of work is the notion of “Incremental Urbanism” which recognizes the possibilities of intensification latent in the morphology of urban fabric. Williamson’s built, projected, and speculative work has been widely-published and has garnered significant awards and accolades, including the Ronald J. Thom Award for Early Design Achievement and the Professional Prix de Rome for Architecture from the Canada Council of the Arts, the Emerging Architectural Practice Award from the Royal Architectural Institute of Canada, the Young Architects Prize and the Emerging Voices Award from the Architecture League of New York, and various design/construction awards, including awards from Residential Architect, a Journal of the American Institute of Architects, the Ontario Association of Architects, the Canadian Green Building Council, and the Canadian Wood Council. Williamson brings with him his interest in the Master of Architecture program’s relationship to the City of Toronto and the broader profession, and his focus on the nexus between architecture, urbanism, and digital (and traditional) modes of representation and fabrication.